Just a quick reminder - our next litter pick is Monday 28th September, meet in Tesco Car Park at 2pm. Hope lots of you will be able to make this litter pick on Monday. 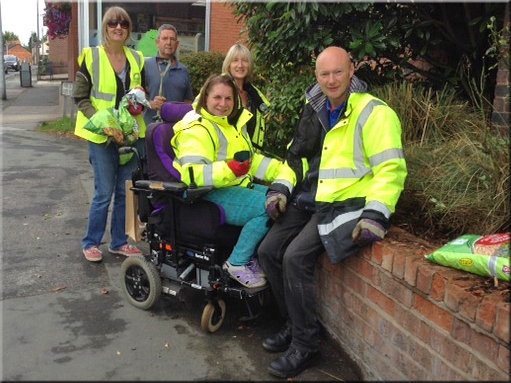 Members of Middlewich Clean Team have been busy tidying Katy's Wall over the summer. Two members Darren Ketley and Vicky Perez trimmed, cut back, and weeded the area on Lewin Street which was built in memory of one of the founder committee members, Katy Lee, who tragically died in a road accident when Clean Team was in its infancy. A group gathered this evening and new bark was distributed too finish the job. Katy would have loved to have been along side us laughing, litter picking, and having fun keeping our town looking clean and tidy. 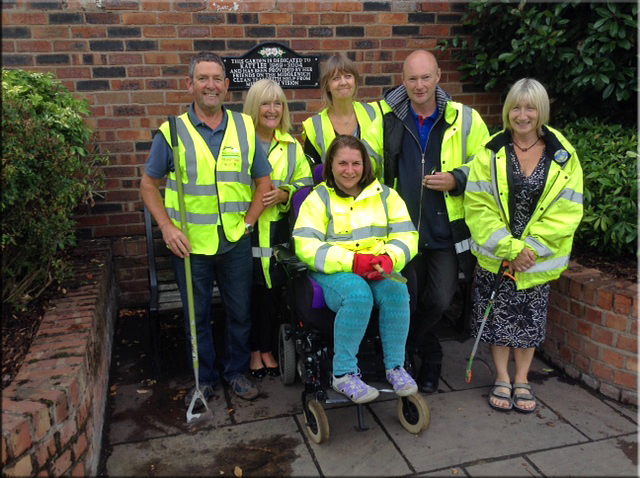 We are now in our thirteenth year and are always looking for new members.... we currently have over 200 people who look after an area close to their home, we supply litter pickers and tabards for those wishing to join our group.